This complimentary 11-module course focuses on pump basics, discharge conditions, understanding pump curves, sizing and selecting pumps, pressure storage tanks and other similar topics. Learners must achieve a cumulative score of 60% or higher to pass the course and earn the CEU’s. In this four module course learn what a VFD is and how it works. Explore a typical VFD system. Understand the role each component plays in maintaining constant water pressure, and the effect of motor speed on pump performance. Examine the various VFD system types and learn how to select, size and start up a system properly. Finally, get familiar with common VFD failure modes, troubleshooting tools and steps you can take up front to minimize problems over time. Learners must achieve a cumulative score of 60% or higher to pass the course and earn the CEU’s. In this three module course, learn about the different wastewater pump types and their functions. Understand how to calculate pump size and correctly select pumps. Finally, explore the various accessories available to aid in the use of a sump, sewage or effluent pump. 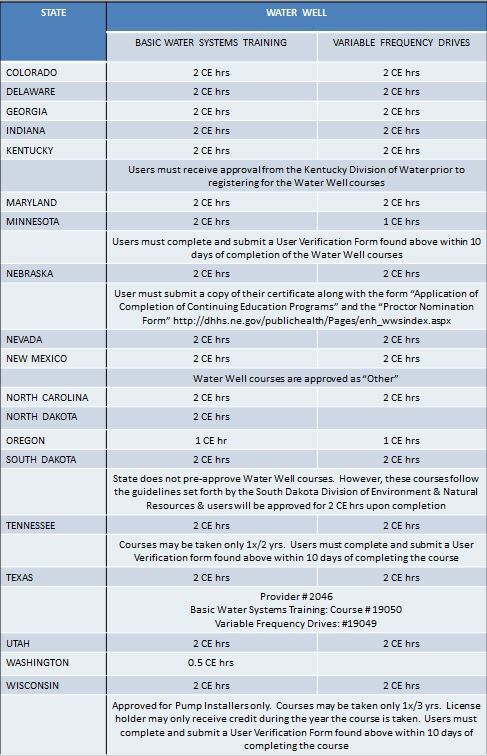 Learners must achieve a cumulative score of 60% or higher to pass the course and earn the CEUs, when available. This product-specific course introduces the user to the GWT 4″ submersible well pump family, which includes the G, GS & HS Series. Discover the features and benefits, pump performance and construction design that make our 4″ submersible pump lines a dependable option for all applications. 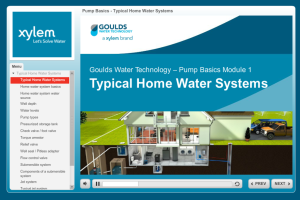 This product-specific course introduces the user to the GWT line of jet pumps. Discover how the GWT jet pumps outperform against the competition. Learn service tips to help ensure a long life for the pump, as well as key features and benefits that make our line of jet pumps a dependable option for all applications.